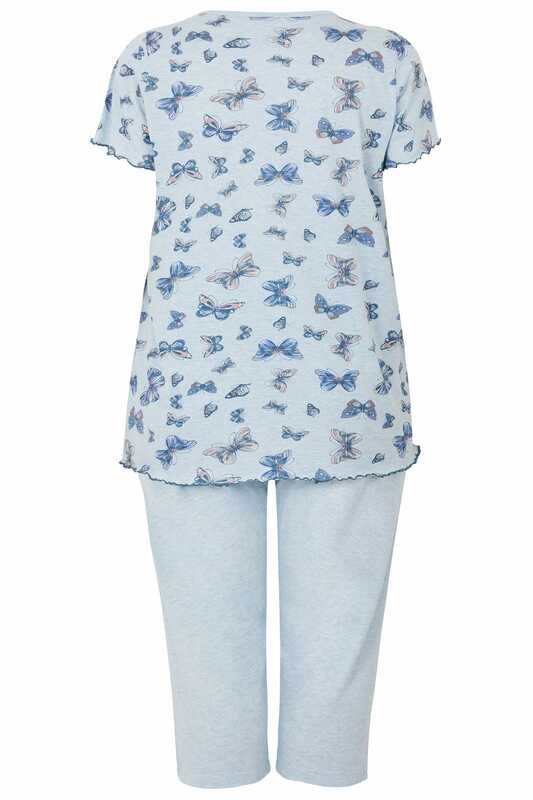 Inside leg length from (approx) 50cm/19.6"
Create a cosy bedtime style with this pyjama set. Made from a cotton blend with a marl finish, the set offers a simple short sleeved tee and cropped bottoms with an elasticated waistband for a comfortable fit. 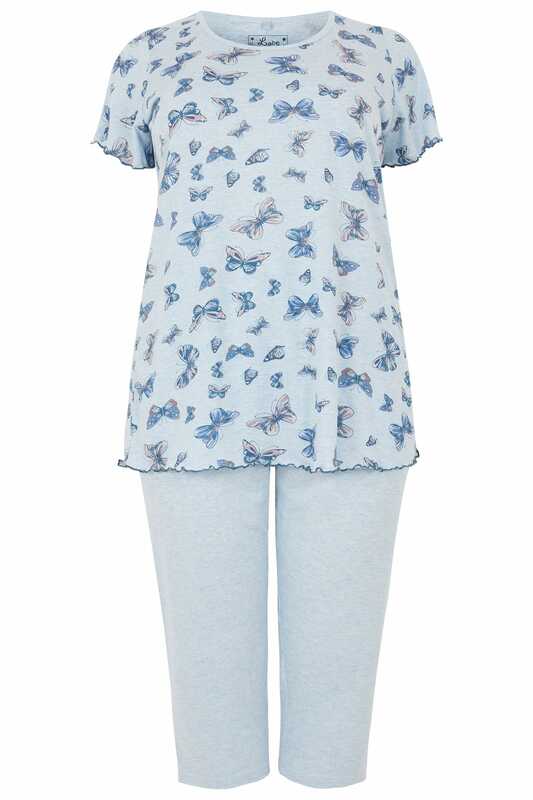 We love the soft blue hue and butterfly print.